isoHunt.com, Torrentbox.com, and Podtropolis.com (collectively we'll call them isoHunt.com) have taken a "First Strike" stance with the Canadian Recording Industry Association (CRIA). Recently, under threats from the CRIA, Demonoid.com first went offline (maintenance) and then came back up, though they had to block searchers from their own country of Canada, and now seem to still be a little bit on the shaky side as to availability. 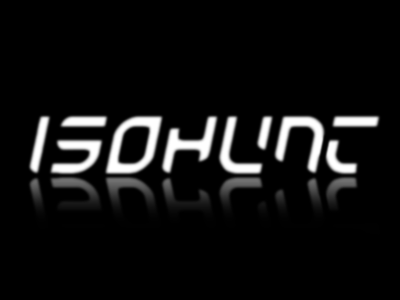 Since Gary Fung, the admin for isoHunt.com has now sworn an affadavit that isoHunt.com does not violate the Copyright Act and has, in fact consistently complied with demands by the CRIA to remove trackers from it's search engine that the CRIA has indicated are not authorized for internet distribution by their clients, the ball is now in the hands of the CRIA. They get to try and explain to the Courts how a search-engine, that stores no files that violate copyright, is breaking the law. That's kind of like telling the local public library that they are in violation of copyright law if they maintain a copy machine in their building, though no one may have ever used the copier in an illegal manner. Last we checked, and we don't want to besmirch the efficacy of the Canadian Courts, the plaintiff does have to prove that a law has been broken. The Petition to the Courts for injunctive relief from harassment by isoHunt.com is pure poetry, music to our ears, and overdue. Not every file, though we won't pretend that some may, belongs to the RIAA, MPAA, CRIA, BRIEN, or any of their members / clients. If, they'd like proof of that, then I'd like to point out the fact that Aeria Games (sorry for pulling you into this guys, your certainly not by yourselves) distributes their software clients for games by bittorrent. Are companies that distribute their own product by torrent to be denied the ability to use this excellent technology? Can the CRIA not be bothered to take the time to point out the files they wish removed that specifically pertain to them? Because of this need for the CRIA to not be bothered with trivialities like providing proof of copyright violation are they entitled to shut down entire search engines, websites (probably blogs next) to protect their profit margins? Grant isoHunt, it's sister sites and all others similar in scope this injunction against unlawful harassment. Maybe when the CRIA's lawyers stop being paid exorbitant sums (relative to a blog editor, I can assure you of that) the retail prices of entertainment can go down in proportion and the economy might start recovering earlier.